The Open Up! conference is taking place in London today. The event is designed to explore the topic of open government and transparency and is organised by Wired, Omidyar Network and the UK’s Department for International Development (DFID). At the event, the Rt. Hon. Justine Greening MP, UK Secretary of State for International Development sent her first tweet and talked about opportunities relating to mobile technology and open data. Greening also unleashed a round of interesting announcements that should help DFID get with the digital program. 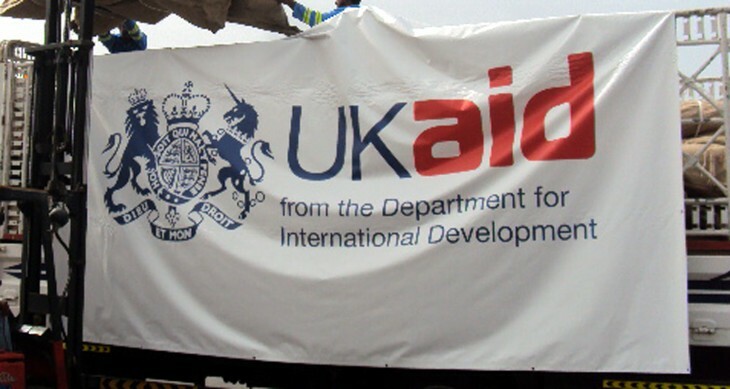 The first was that Britain is to launch an Open Aid Information Platform. According to DFID this is a way for anyone to trace spending from Whitehall down to specific aid projects across the developing world. That’s quite the undertaking and as there was no date revealed for launching this platform, we will be watching for updates on how this unfolds. Greening also announced that DFID will be working with the UN, mobile tech company Kirusa and others to support a survey entitled ‘My World’. The aim of the survey is to open up ways for people in some of the poorest countries to have their say on international aid through their mobiles. Although opening the doors for opinion in the right places is important, it is how those reactions are heeded that will be fundamental to improving aid work. Let’s hope that it generates some good ideas for helping aid workers target their work where it is most needed. Also on Greening’s to-do list, Britain will be launching a new partnership called Making All Voices Count. The project is a collaboration between DFID, Omidyar Network, USAID and the Swedish Government to spot innovative tech ideas and make them work. According to DFID, the new partnership is designed to help people in poorer countries benefit from new technologies. All software created through the programme will be open source – all the better for re-applying in different places with similar economic issues. DFID will also be working with Sir Tim Berners-Lee’s World Wide Web Foundation to help close the ‘digital divide’ by researching internet use in poor countries and providing solid evidence when it comes to finding out how and if the Web can change lives in poorer places. Britain is also working with people in Pakistan to report poor performing or corrupt local officials direct to senior Ministers through their mobile phones. That’s one heck of a to-do list for DFID. Hopefully there is funding and an infrastructure to support this work. If the UK government has learned anything from the work of GOV.UK, it might be that the Department for International Development could do with connections to smart startups working in the area of tech and social development. Either way, Justine Greening has kicked open the door today at the Open Up! conference and having outlined what needs to be done. Let’s hope that the department moves apace to bring relevant technologies to developing countries and see if we can’t improve the quality of life.